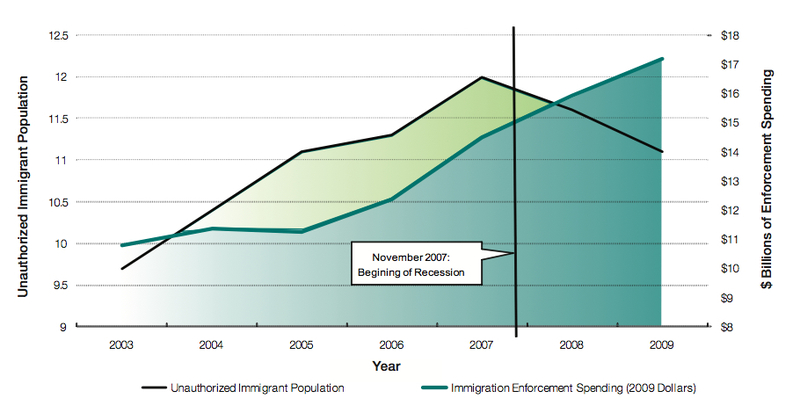 Immigrants have been stopped plenty of times by the Border Security, but they have also escape over the border. The wall that keeps the immigrants from coming over to America cost a lot of money which comes out of the governments money. It also cost a lot to pay the border security guards for their help with stopping immigrants from coming over the border to America without being an American citizen. The border wall is amazingly long and very hard to get through. But then the budget for the fence is skyrocketing. Taxpayers are paying more and more just because of this fence. Depending on the material the fence is made out of the cost usually ranges from 300 million to 1.7 billion dollars, but only depending on the material they use to build it, and keep it standing. The governments show that taxpayers have spent 90 billion dollars over the past 10 years to secure the US-Mexican border. The prices for the security guards range from $4,500 to $75,000 just for one guard. Such as a drug-searching dog which costs 4,500 dollars. Just for a dog that’s a lot of money, but they keep from drugs getting over into the US. Also for a Border Protection officer it would cost 75,000 and that’s just average annual salary. But still if you think about it that is just a little too much to pay someone for being a security guard, but then at the same time it isn’t because they do a lot of work, so it’s worth it. So since we have security that cost a lot to pay we have had less immigrants coming over to US without an American citizen card. So this has helped the US buy staying on a balanced budget and not having to change tax prices on and off. So my opinion on keeping immigrants out is that as long as we have the top class border security that they will not allow immigrants to come over to the US without having a American Citizen card. Which is needed to be an immigrant and stay in the US.